Record points scorer Jason Tovey has been piling up the points and records during his time with Dragons. Equally able at full back or outside half, Tovey shows an exceptional composure and maturity on the ball which makes him a great asset to the side in either position. 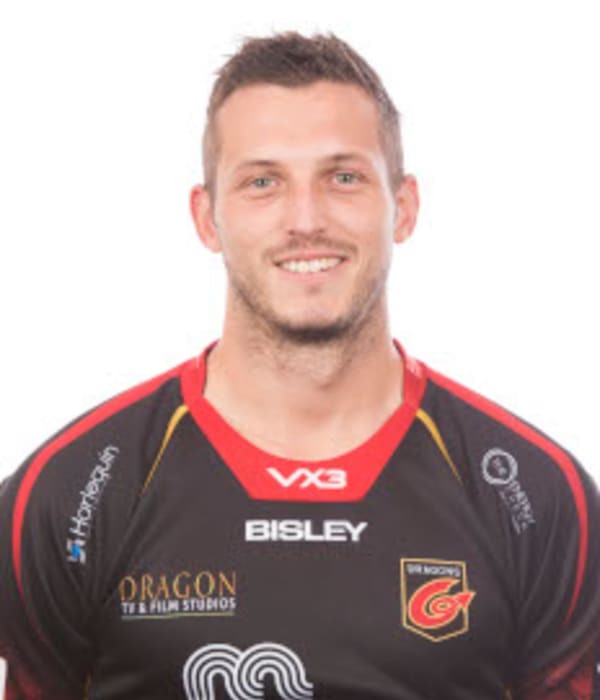 An exciting young talent who spent two years in the Dragons Academy, Tovey made his Newport debut against Aberavon in 2006 at Rodney Parade and became youngest ever Newport Premier League player. He scored two tries from full back against Maesteg in 2006 - becoming Newport's youngest Premier League scorer. Tovey made his senior Dragons debut against Ospreys in April 2008 and began to rack up records - he became the first-ever Dragons player to get a try hat-trick in a competitive match against Ulster in 2009. After representing Wales at Under-20 level, Tovey was named in the senior Welsh squad to tour North America in 2008 - but a Heineken Cup playoff prevented him from playing. Tovey was named in the 45-man training squad for the 2011 Rugby World Cup. However, he was forced to withdraw from the training squad that travelled to Poland for a training camp through injury. Tovey left Dragons for the 2012/13 season and moved to rivals Cardiff Blues, but later returned to his home region to take up the challenge of the number 10 jersey once again. A further spell away saw Tovey turn out with great success for Edinburgh before he returned to Wales to play for Cross Keys and later re-join Dragons in 2018.